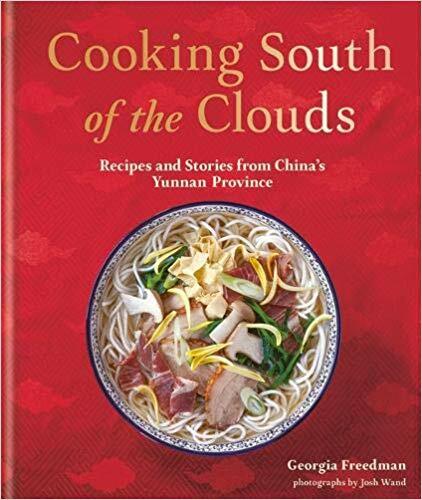 Cathy is joined in the station by food writer Georgia Freedman, author of Cooking South of the Clouds: Recipes and Stories from China’s Yunnan Province. She shares why she was so enthralled by Yunnan province while studying in Beijing that several years later, she and her husband moved there to research its fascinating food culture, resulting in this book as well as her blog, ChinaSouthoftheClouds.com. With a population that includes dozens of minority groups and a mountainous terrain, Yunnan is home to a multi-faceted cuisine that is unlike that of anywhere else. From mashed potatoes to rice noodle soups, pea soup to pineapple rice, Georgia talks about some of her favorite dishes and insights.